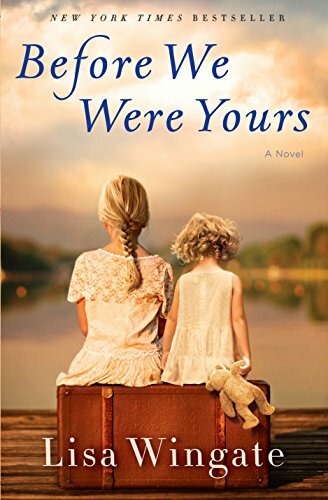 I wasn’t familiar with Lisa Wingate’s books before I read “Before We Were Yours” but I’ll be looking for others now that I’ve read it. I was drawn fully into the story, set in both the 1930s and present day. It follows the story of the Foss children in the ’30s and Avery Stafford in present day, and brings to light a horrifying and shameful real-life scandal. From the ’30s to 1950, a woman named Georgia Tann, who ran the (Memphis) Tennessee Children’s Home Society, stole poor children from their families and newborn babies from single mothers and sold them to celebrities, politicians and others who could afford them. It was all done under the guise of helping orphaned and abandoned children find good homes, but it was actually human trafficking. Avery Stafford finds a puzzling photograph that leads her into an ever more confusing story of secrets and lies inside her upright, respected family. Along the way, she starts to question the man her family has picked for her to marry and her expected role within the family. What follows is a heartwarming story of love, betrayal, memories and staying true to your heart. In addition to the well developed characters and background love story, I liked the realistic view into the 1930s. I really enjoyed this book and learned a lot about a dark time in our history, when being poor was enough to have a family ripped apart forever. This is a REAL story. It is poignant, sad, unbelievable and a must read to learn about how families were destroyed and children were mistreated in orphanages prior to 1950. The way children were stolen and placed in homes under cruel caretakers is chilling. Children were stolen, warehoused in homes until they could be adopted into “high class” families. The family story centered in Lisa Wingate’s book describes five children and their parents who live on a river houseboat on inlet to Mississippi River. They are close to lowest of socio-economic status possible. But,they dearly care for one another, especially the children and their mother. At term with pregnancy for twins when the midwife is unable to deliver the mother, the midwife insists the father take her to a hospital. They are told the twins do not survive, but the mother does. When the mother and father return to their houseboat the other five children have been stolen by the authorities. How the children survive their existence under the ugly supervisor, Miss Tann, their separate adoptions and how they manage to regain contact with each other is an unbelievable story. Andy was not stopped until 1950. This is the first book I’ve ever read by Lisa Wingate, but having read it I will search through her other titles. It was an excellent book! The subject matter was hard, and sad at times, as I knew it would be before starting. I could not put it down because I had to find out how the story ended. It was a glorious book, I’m happy that I read it!